Most people who have lived in Hucknall will have been affected by Methodism in some way, even if they have not attended the religious services of one of the chapels as a member or visitor. Over the past 200 years, there have been so many opportunities enabling members and friends to meet and enjoy fellowship. Local people have been entertained by dramatic productions, enriched by lectures, involved in sporting achievements, or invited to tea - to name just a few. Tribute must be paid to the Hucknall people of the past for the time-consuming, fund-raising activities and skills freely given to build chapels and churches. Our ancestors' lives would have been much poorer without their support in the community. The following are just brief outlines of Hucknall Methodist Churches, past and present. They are taken from longer articles to be found in the booklet 'One More Step' and in 'Hucknall Torkard Times' - a local, history-based newsletter. George Pickup came to Hucknall, from Cudworth in Yorkshire, to see his brother who was dangerously ill. After his brother died, George decided to stay, finding work as a stocking weaver (framework knitter). He had been a member of the Methodist Society in Cudworth and �... every Sunday morning, he walked to Nottingham, nearly seven miles distant, to join the Methodists in their religious services and in the evening he opened his own house for meetings�. His home was a small thatched cottage on Belle Isle, where he invited neighbours to join with him in Methodist- style services. Later, he requested local preachers from Nottingham to come and help. In 1797, Mr. Huddleston, who was a local preacher from Arnold, became the trusted leader of the growing 'Hucknall Society'. The Society resolved to adopt the constitution of the Methodist New Connexion for their church government, becoming part of the Nottingham Circuit. The next important decision was to rent a thatched barn, which stood on the side of Annesley Road, from the Duke of Portland. It measured only eleven yards by four yards but was fitted out with a pulpit and forms for the increasing congregation. Success aroused the old spirit of intolerance in the village, and �one night in the month of June, the place was broken into, the forms and the pulpit taken out into the adjoining Linby fields, chopped up and burned�. Sunday School for the children began on 6th April 1808, when the lessons taught were mainly reading, writing and arithmetic, and for many, it was the only means of education. By 1828, the building was in need of enlargement and renovation. Mr William Howitt, a farmer from Papplewick, donated �200 towards the sum needed and the Duke of Portland gave permission for as much stone as necessary to be taken from his quarries. �How these early Methodists themselves got and dragged stone from Birk�s Quarry near Bulwell Wood Hall to the chapel is often told with pardonable pride�. Further extensions were needed in 1836, enabling up to 600 people to be accommodated. 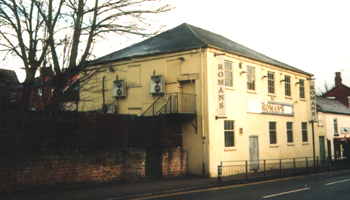 This building is, at present, Roman's public house. Far seeing trustees purchased land on Baker Street in 1865. A memorial stone was laid in 1872 and the new Trinity Church was opened in the Spring of 1873. The building costs were �2,500. 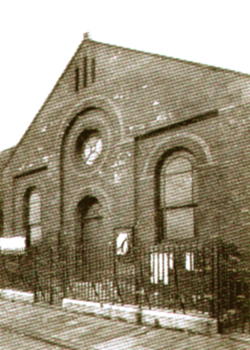 The old building on Annesley Road was used as the Sunday School until land for new schools was purchased beside the church in 1898. Designed by A.H.Goodall, the new Sunday School building was set around a central hall with numerous classrooms and opened in 1903. Methodist Society meetings were held in cottages in the Linby/Papplewick area from 1815 onwards. They started in a very small way before the congregation plucked up enough courage to hire a joiner's shop at Warp Mill, Papplewick. In this building, in a picturesque setting, the members worshipped for 70 years. It was then discovered that the structure of the building was unsafe and in December 1898, members began to think about building a new chapel. The stone-laying ceremony took place in 1901, on Papplewick Lane, witnessed by crowds of people. Papplewick Grange was loaned by Mr. & Mrs. Jesse Hind for the celebrations which followed and included tea in a marquee (this was fortunate since it rained) and musical selections were played by Mr.H.Radford's string band. Total collections for the day amounted to �250 towards the cost of the new building. Houses were being built in the Butler's Hill area to accommodate the influx of personnel coming to work in the collieries, so at a meeting held in the Trinity Church, on Baker Street, it was resolved to open a mission at the east end of town. The first meeting was at the home of Mr. Goodall, in 1873, followed by meetings in other houses. The foundation stones of Bethesda chapel were laid in 1875 and it opened for worship on January 16th 1876. 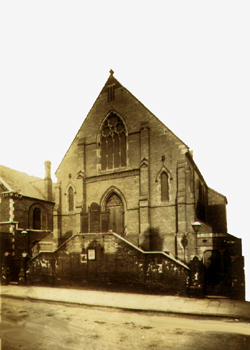 Special services were held in July 1881, when the chapel was re-opened after extensions to seat a further 150 people. These were completed by the building firm of Mr.J.Munks of Hucknall. 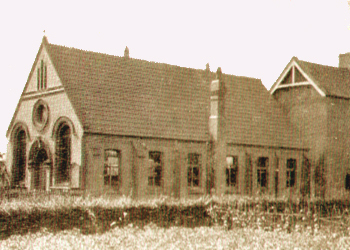 New schoolrooms were built in 1898. John Harrison, a Primitive Methodist pioneer, visited Hucknall in 1810 and the evangelist Sarah Kirkland came in 1816. Cottage meetings of the Primitive Methodists began the same year in Mr.Smith�s house. A little later, a barn was used for services, which was also an ideal Sunday School room for the superintendent, John Green. The Half Moon club room was used, followed by Robert Hutchinson�s cottage on Towel Roller Row, before a Primitive Methodist preaching room was eventually established. A conveyance document, dated 1857, for a piece of land called Long Close or Long Pool Close, which was bounded by the property of William Calladine and Levi Gration, is in Nottinghamshire Archives Office. It was located �by the high road leading from Hucknall to Watnall and all that edifice or building now erecting upon the said piece of land and intended to be used as a chapel or meeting house with vestry and outbuildings�. The chapel was situated near the present 'Flying Bedstead' pub. 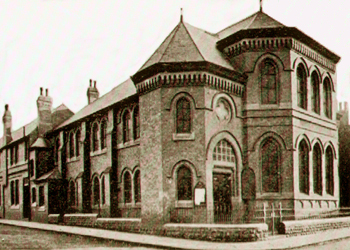 By the 1890s, the first chapel was bursting at the seams, so land was purchased from the Duke of Portland at the corner of Beardall Street and Watnall Road, and advertisements for tenders from builders for �the new Primitive Methodist Chapel, Hucknall Torkard� were placed in local newspapers. At 2pm on Saturday 27th April, 1895, a procession started from the old chapel, led by Hucknall Temperance Prize Band, to the new site. It was siling down but the stone-laying ceremony continued, watched by large numbers of people. The new chapel, costing a total of about �4,000, was opened in February 1896. On 8th October, 1877, a deputation from the Primitive Methodist Society, consisting of Mr.T.Haslam and J.Whitworth went to the School Board Committee and requested the loan of Butler's Hill Boys' Schoolroom for a tea and public meeting. The room was loaned at a charge of 2/6d, and from January 1878 until 1879, the room was rented weekly for religious worship and a Sunday school. Memorial stones for the new chapel were laid on Whit Monday. It was about 2.30 p.m. when the procession arrived on site and, after prayers and hymns, the stones were laid by six ladies, including Mrs. Metcalf and Mrs. Smithurst of Hucknall, and Mrs. Haslam of Butler's Hill. After a tea for 300 people, a meeting was held in the Baptist Chapel, presided over by Mr.J.E.Ellis. The chapel was eventually opened on Sunday 12th October, 1879. One early meeting place for Wesleyans was a thatched house at the corner of Half Moon Yard. 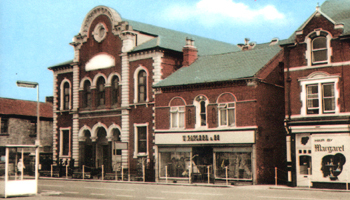 The first chapel was built in Chapel Street and opened in 1846. 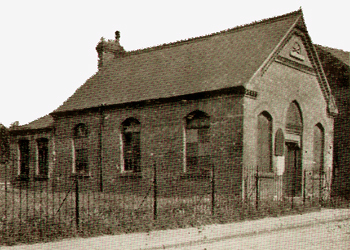 Eventually it was found that the building could not accommodate the people who wanted to attend for worship and a site for a new chapel was bought in Watnall Road. The building was designed in the Gothic style by Mr.Wills of Derby and built in red brick with stone dressings by local contractors Messrs.Munks and Richer and Mr.Swinton supplied the stone. The expected total price was �2000, including the school and classrooms underneath the chapel, which could accommodate 200 children. Memorial stones were laid in July 1880 by Miss Taylor of Nottingham, Miss Alice Taylor, Miss Grey of Linby and by the Sheriff of Nottingham, Mr.F.Acton. The old Wesleyan Chapel was put up for sale in 1881 and sold to the Mission Society. 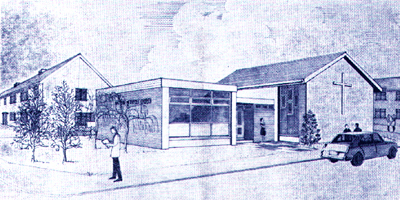 Many younger Hucknall people will remember the Wesley Chapel on Watnall Road as the home of 'Centaurs Youth Club'. 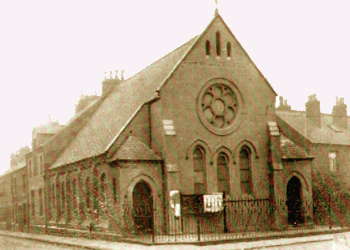 Some people who had come to Hucknall from other areas decided, in 1876, to form a church and adopted the policy of the United Methodist Free Church. They met, for services and fellowship, in a room in the Public Hall. 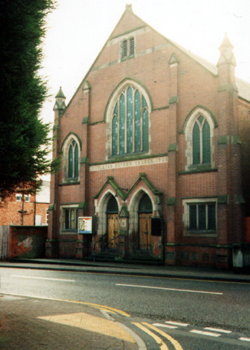 Increased membership made the building of a chapel a necessity and a plot on Peveril Street was bought. Some of the members spent their spare time digging out the foundations, enabling the stone-laying ceremony to take place in 1877, and the structure was completed the same year. It was officially opened on Sunday 28th October by the Rev.T.B.Saul, superintendent minister of the circuit. On Monday, a tea meeting was held in the Methodist New Connexion old school house, at which 250 persons were present. Hucknall Mission Society marched to St. Mary�s Church, in October 1882, to take part in a special service. (It is possible this was to give thanks for the purchase of the old Wesley Chapel, on Chapel Street, which was renamed 'The Mission Hall'). 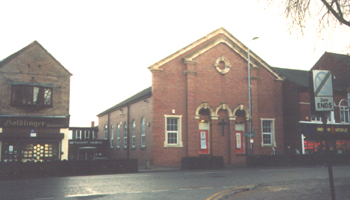 Over the years, the building was extended and upgraded, until a plot of land was bought with frontages on Ogle Street and Annesley Road for the purpose of building a new and larger chapel. In 1902, the congregation decided to affiliate with the Wesleyan Reform Church, part of the Methodist family of churches. A plan (number 2197) for a new church, designed by Hucknall architect Harry Spencer, was laid before the council planning committee and passed. One year later, a large company assembled to witness the stone-laying ceremony for a church which would accommodate 555 people. Over the years, several Methodist Societies in Hucknall and Papplewick have amalgamated to become one church at Central Methodist. They were - Bourne Primitive and Wesley on Watnall Road, Papplewick on Papplewick Lane, and Peveril Street and Trinity on Baker Street. After much prayerful deliberation, it was decided to demolish the old Trinity Church and rebuild a new one on the same site. This decision was due mainly to two factors - mining subsidence causing structural problems, plus 100 years of wear and tear. Together, these would have made the cost of restoration and renovation enormous. The design of the new church, built in 1989, reflected the frontage of the former church and blends with the architectural style of the remaining buildings along the street. 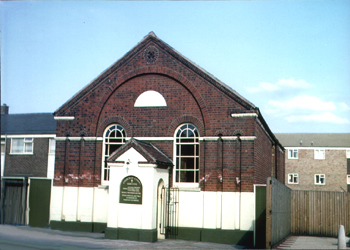 On Easter Sunday 1963, members of the Bethesda Methodist Church and Cavendish Street Methodist Church (the Old Prims) merged, forming a new church known as East Side Methodist Church. It is located on Bestwood Road, Butler's Hill. At first, members worshipped in the Bethesda Building and later the Old Prims, until it was pulled down and the present church erected on this site. Wooden beams from the old church were used to create a large cross situated behind the pulpit. The combination of these societies have brought together people with a wealth of ideas, skills and interests, allowing efforts to be pooled for an outreach programme into the local community. Both the present Methodist churches were designed to permit greater freedom of the way the space inside the buildings could be used, enabling more community-based functions to take place. The Methodist Church in Hucknall is a lively, outgoing and caring congregation, which is growing and gaining in strength from sharing Christian values.